In this episode, Audrow Nash speaks to Russ Angold, co-founder and CTO of Ekso Bionics, about the wearable bionic suit, Ekso. This suit enables individuals with any amount of lower extremity weakness to stand up and walk over ground with a natural, full weight bearing, reciprocal gait. Walking is achieved by the user’s weight shifts to activate sensors in the device which initiate steps. Battery-powered motors drive the legs, replacing deficient neuromuscular function. 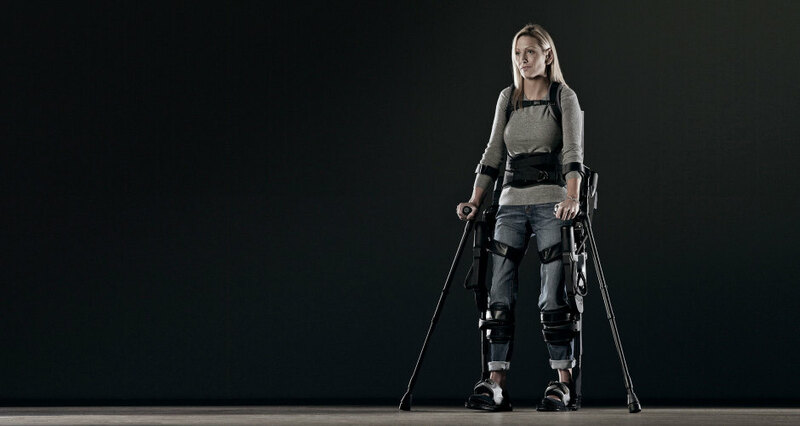 Ekso provides functional based rehabilitation, over ground gait training, and upright, weight bearing exercises. It has been designed for the needs of busy therapists treating a wide range of patients in a single day. The suit is strapped over the users´ clothing with easy adjustments to transition between patients in as little as five minutes. Russ Angold is co-founder and CTO of Ekso Bionics. He works closely with the Lockheed Martin Corporation, licensing Ekso technology to further develop the HULCTMexoskeleton for military use. Formerly Vice President of Engineering, Russ provided many of the concepts that shape today’s current designs as well as those of the ExoHikerTM, ExoClimberTM and HULCTM. Before Ekso Bionics, Russ held various engineering positions at Rain Bird Corporation, Berkeley Process Control and the Irrigation Training and Research Center in San Luis Obispo, California. Russ has a bachelor’s degree in BioResource and Agricultural Engineering from California Polytechnic State University, San Luis Obispo. He is a California registered Professional Mechanical Engineer and has two granted patents and another seven pending.